The Toyota Tundra is engineered to over-deliver in every possible way. Refined style describes its captivating and spacious interior. Brute force describes its towing and payload capacity. And its ruggedly good looks are but one-way to describe the curb appeal of each grade. Having a heritage that goes back eight decades, Toyota trucks have developed a renowned reputation for being some of the most versatile pickup trucks available in their class. Capable of handling the toughest jobs imaginable, the Toyota Tundra also makes the perfect vehicle for weekend trips with friends or family. With torque-heavy fuel-conscious engines, you’ll never have to worry about having enough power to tow even your largest of toys. The only thing that matches the Tundra’s toughness is its value: the 2016 Tundra earned KBB’s 2016 Award for Best Resale Value in the full-size pickup truck category. Each model is unmistakable, projecting the strength and capability that can only belong to the Tundra. The 2019 Tundra is offered in five separate trim levels: base SR, SR5, Limited, Platinum, 1794 Edition, and TRD Pro. The SR offers 18-inch steel wheels, a tilt-only steering wheel, a CD player, a 6.1-inch touchscreen interface, a rearview camera, *Bluetooth®, automatic high beams, adaptive cruise control, automatic braking, lane departure warning, a USB port, and more. The SR5 adds fog lights, an upgraded tech interface, variable intermittent windshield wipers, HD radio, a 7-inch touchscreen, and satellite radio. The Limited provides 20-inch wheels, leather upholstery, dual-zone automatic climate control, a power driver’s seat, a navigation system, a power-adjustable passenger seat, and additional speakers. The Platinum provides LED daytime running lights, a sunroof, a 12-speaker JBL sound system, driver-seat memory functions, and more. The 1794 Edition adds various styling elements while the top trim, the TRD Pro, adds off-road elements such as Fox shocks, a 2-inch front lift for more clearance, and front skid plates as well as LED headlights and fog lights. As you can see, the 2019 Tundra has plenty to offer! First available to the American market in 1999, the Toyota Tundra was officially the first North American full-size pickup to be built by any Japanese manufacturer in the U.S.A. Shortly after, the Tundra achieved the North American Truck of the Year award and Motor Trend Magazine’s Truck of the Year in 2000. Since then, the Toyota Tundra has gone through various exterior and interior changes, advancing performance capabilities and features to outperform its competitors. Again having achieved the Truck of the Year Award in 2008, the Tundra has also made record breaking instances, such as towing a space shuttle and clocking in a model with over 1,000,000 miles. At our Toyota dealership in Birmingham, AL, we have devoted ourselves to helping and serving our customers to the best of our ability. We are committed to making every client’s experience of the Central Alabama, Homewood, Vestavia Hills, and Bessemer regions a positive experience worth remembering. 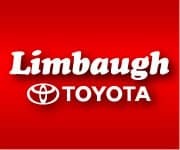 At Limbaugh Toyota we don’t just sell cars, we provide a complete car buying experience. We provide our customers with everything from car repair services, auto parts sales to car loan and lease services. If you happen to be in the market for a used or new Toyota Tundra, then stop by today and test drive one for yourself!